"Candidates should be prepared for push back regarding their involvement with AIPAC," she told Politico. The proposed boycott comes just weeks after Rep. Ilhan Omar's (D., Minn.) anti-Semitic comments divided Hill Democrats. 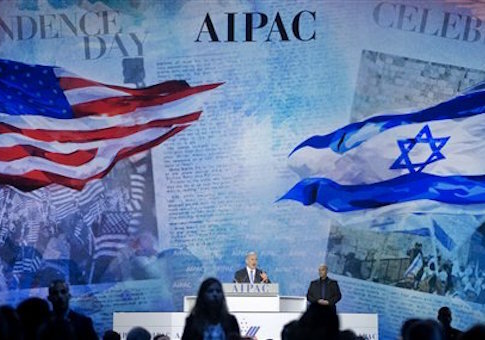 After Omar alleged that AIPAC and others push for "allegiance to a foreign power" while speaking at an event, Democrats passed a sweeping resolution condemning all forms of hate. "I think she has a different experience in the use of words, and doesn't understand that some of them are fraught with meaning that didn't realize, but nonetheless that we had to address," Pelosi said in reference to Omar's comments. Some Democrats, however, expressed concern that the resolution did not focus on anti-Semitism. This entry was posted in Politics and tagged 2020 Election, AIPAC, Anti-Semitism. Bookmark the permalink.